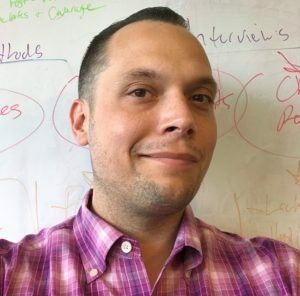 William A. Yagatich (Ph.D., University of Maryland, College Park) is a Postdoctoral Research Fellow at the Center for Climate Change Communication (4C) at George Mason University. Currently, the main focus of his work is on the Climate Matters in the Newsroom project, an expansion of the highly successful Climate Matters. Since joining 4C, he has taken a central role in assessing the climate change views and reporting interests of local journalists and news directors across America. This research is being used to help develop science-based climate change reporting resources for the purpose of assisting journalists in covering climate change at the local level. A sociologist by training, his broad areas of research interests include environmental sociology, the sociology of space and place, and the sociology of knowledge.